Bill Cosby was the commencement speaker at Tufts University and recipient of an honorary degree in 2000. 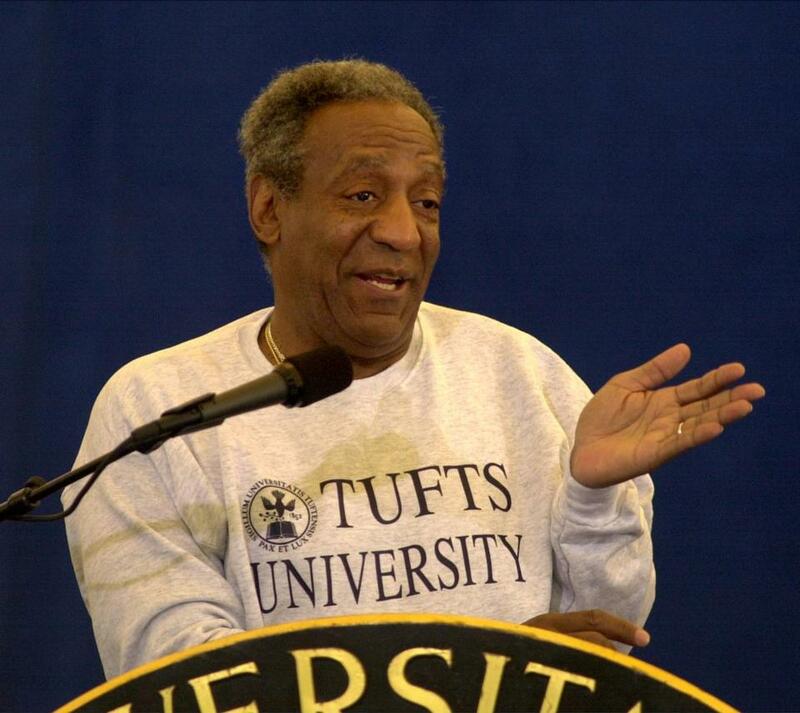 Tufts University is revoking the honorary doctor of arts degree it gave entertainer Bill Cosby in 2000. In a letter to the university community, Tufts President Anthony Monaco said, “Mr. Cosby has demonstrated a lack of character and integrity that clearly does not represent the values to which our university is committed and for which he was honored.” Tufts joins a long list of schools that have already rescinded honorary degrees they bestowed on the comedian, who has been accused of sexually assaulting dozens of women. Baltimore’s Goucher College also said Thursday that it had revoked an honorary degree it awarded Cosby in 2001. A year ago, the University of Massachusetts Amherst severed its ties to Cosby, who earned a master’s degree and a doctorate in education there and was an honorary co-chairman of the school’s fund-raising campaign. In addition, Berklee College of Music removed Cosby’s name from an online scholarship it awards. Tufts trustees decided after “lengthy and serious consideration” that there was a substantial basis for discrediting the accomplishments for which Cosby was recognized 15 years ago, according to a press release from the school. The university’s Eliot-Pearson Department of Child Study and Human Development has also withdrawn the Eliot-Pearson Award for Excellence in Children’s Media that was presented to Cosby in 2011. The school said it has notified Cosby of its actions. Material from The Associated Press was included in this report. Laura Krantz can be reached at laura.krantz@globe.com. Follow her on Twitter @laurakrantz.